Cyclone Hudhud turned into a deadly blizzard in Nepal. 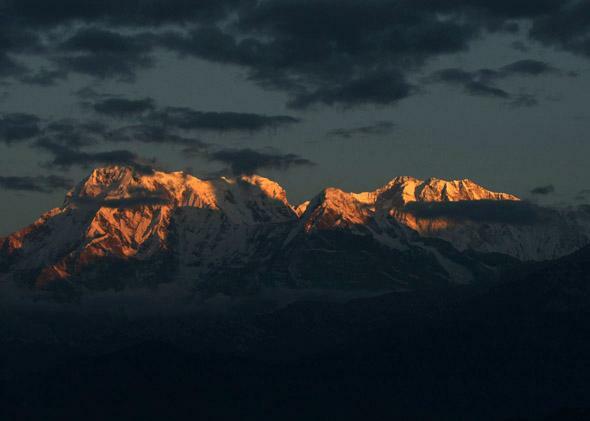 The Himalayan mountain range of Annapurna from Pokhara, some 200kms west of Kathmandu on November 1, 2010. Earlier this week, a horrifying avalanche buried several groups of trekkers and their guides in the mountains of western Nepal. Latest reports say more than 20 have died. Many are still missing, though one rescue team has brought in 77 survivors so far. This is peak trekking season along the Annapurna circuit, since October normally features clear skies and mild weather as the summer monsoon season wanes. Instead, thanks to Cyclone Hudhud—one of the strongest storms ever measured in the Bay of Bengal—this week’s weather was a nightmare. Cyclone Hudhud is an example of what researchers think may be an increasingly common occurrence as the Indian Ocean warms—stronger late-season cyclones. Some of those, like Hudhud, will end up pushing massive quantities of tropical moisture toward the Himalayas, which, when forced upward into the colder higher elevations, will fall as heavy snow. 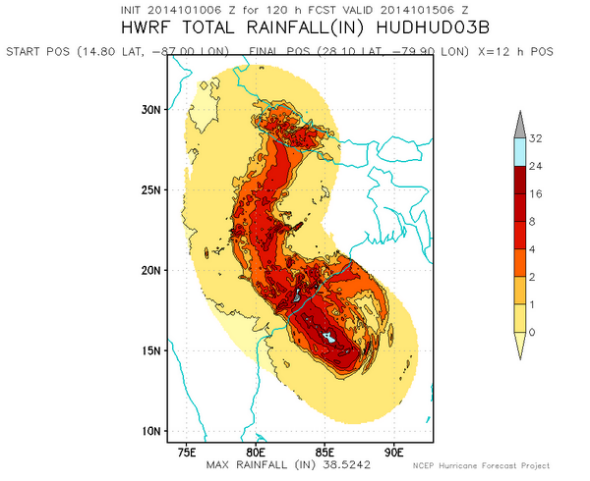 Cyclone Hudhud—a fierce tropical system—brought heavy snows to Nepal this week. Nepal’s tourism industry has grown rapidly in recent years—according to a government report, it’s more than doubled in the last decade. This week’s disaster, combined with another on the slopes of Mount Everest in April—the deadliest day ever on the world’s highest peak—puts a question on the future of mountaineering tourism in a country reliant upon it for a significant portion of its economy. Nepalese guides ended the 2014 Everest climbing season early, out of respect to those who died. A joint report by the International Centre for Integrated Mountain Development, based in Kathmandu, and Nepal’s Department of Hydrology and Meteorology said that Nepal’s glaciers have retreated by 24 percent over the last three decades due to warmer temperatures. As they retreat, they’re becoming more unstable and dangerous for those in the region. “The frequency of avalanches like the one that struck at the Everest base camp last month may increase due to global warming,” Samjwal Bajracharya, the lead author of the report, told Reuters earlier this year. The tragedy brings to mind a more extreme version of Superstorm Sandy, which dumped more than two feet of snow in the mountains of West Virginia from its origins in the warm Caribbean in October 2012—an extremely rare occurrence.